Canada Post has asked 190 international partners to halt mail and parcel shipments to Canada as it reels under a backlog resulting from a labour dispute. The Trudeau government gave one final push Friday to bring the dispute to a close, suggesting it will act quickly if rotating strikes continue beyond a Saturday midnight deadline. Prime Minister Justin Trudeau's government gave one final push Friday to bring the Canada Post labour dispute to a close, suggesting it will act quickly if rotating strikes continue beyond a Saturday midnight deadline for the latest contract offers from the Crown corporation. Trudeau said last week that "all options will be on the table" to end postal disruptions if there was no progress in bargaining for new contracts. Decisions on how to end job actions by postal workers could come as early as Sunday, said a government source, who spoke on condition of anonymity, adding that "'all the options' does include legislating." "CUPW members voted overwhelmingly in favour of taking strike action if necessary to achieve our demands at the bargaining table," the union's national president Mike Palecek said in a statement. "We are fulfilling the mandate given to us by our members. A vote will take place when Canada Post presents offers that meet our demands for health and safety, gender equality and more full-time jobs." At the same time, Canada Post has asked its international partners to halt mail and parcel shipments to Canada as it reels under a 30-day delivery backlog resulting from a labour dispute with its employees. The Crown corporation said Friday that its domestic customers are also backed up with packages waiting for delivery as rotating strikes that began Oct. 22 continue across the country. "The backlogs are also extending to international mail and parcels entering the country," Canada Post spokesman Jon Hamilton said in an email. "As a result, we have been forced to request that international posts, including the United States Postal Service, refrain from shipping items until we can clear the backlog." The request covers all 190 countries in the Universal Postal Union (UPU), the United Nations agency that represents global postal services and oversees co-operation among them. 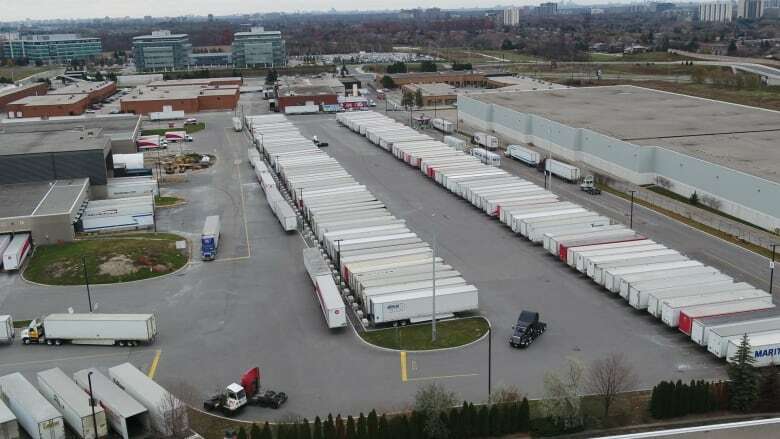 In an interview with CBC News, Hamilton said the backlog is a record for Canada Post with 600 trailers filling distribution centre yards, each containing an average of 2,500 parcels. Normally about one million parcels arrive in Canada each day, and the next three weeks are the busiest of the year. The halt doesn't affect mail leaving Canada, but like domestic mail, it will be subject to delays resulting from the rotating strikes, a spokesperson for Canada Post said in an email to CBC News. Britain's Royal Mail, in a bulletin to its corporate customers, said it would hold any shipments bound for Canada within the last couple of days in its distribution centres "awaiting further updates." "As a result of ongoing industrial action, we have now been requested to suspend the dispatching of international traffic destined for Canada, from today until further notice," it said. 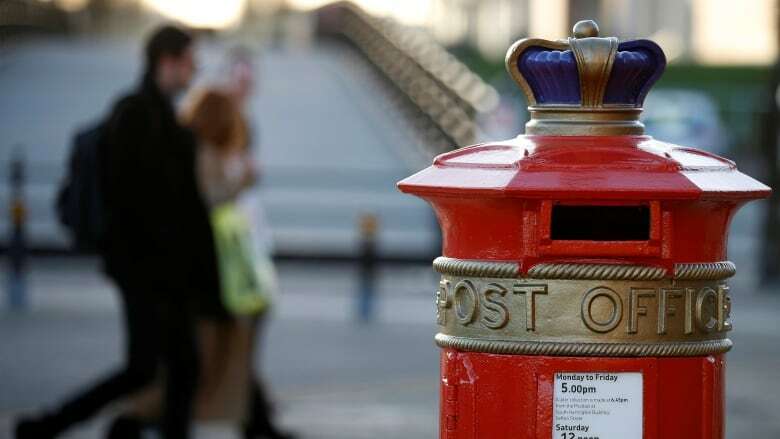 "This applies not only to us, but all international postal operators," the Royal Mail added. A similar bulletin was issued by Hongkong Post, and online sales giant eBay said it received a notification from China Post that it was halting deliveries. The walkouts have resulted in backlogs at the agency's main sorting plants, particularly in Toronto where Hamilton said the number of mail-filled tractor-trailers awaiting processing had reached 407 as of Friday. Dozens of trailers were also sitting idle in Montreal and Vancouver. The offers were time-sensitive, with Canada Post imposing a deadline of Saturday at one minute before midnight for acceptance. CUPW wouldn't say whether tentative deals could be reached by then, but said the union would not be held to an arbitrary deadline. "There is no reason to halt international shipments," he said in a statement. "Let us solve our issues at the bargaining table." Hamilton said the corporation has proposed a way for the company and union to work together to identify ways to make the workplace safer, and offered to fast-track a review of workloads to reduce overburdening of carriers, who have seen a rapid increase in the number of parcels they have to deliver while letter volumes have declined. Prime Minister Justin Trudeau warned last week his government will act to end the rotating strikes if there is no significant progress in the negotiations. Trudeau did not specify what type of action might be taken, nor did he provide a timeline. Earlier this week, eBay called on Trudeau to legislate an end to the dispute in time for Black Friday and Cyber Monday sales events tied to American Thanksgiving that begin Nov. 23. With files from the CBC's Jeannie Lee.